This material was presented at Spring Perspectives 2010. The presentation highlights the collaboration between the Faculty of Arts & Humanities and The D.B. 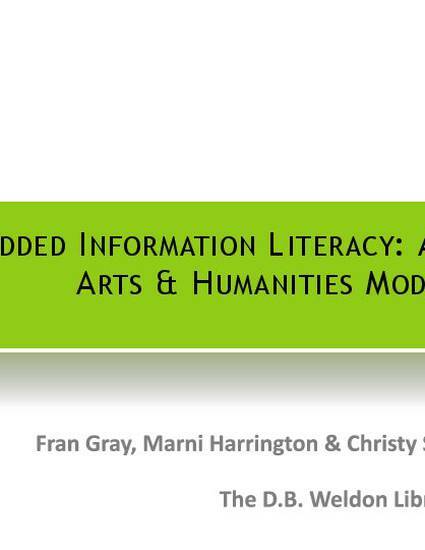 Weldon Library to embed information literacy skills directly into a Classical Studies course.